Epirus is easily accessible, with daily flights from Athens to Ioannina Airport, 4kms from the city center and 10kms from the University Campus, as well as to the airport at Aktion, 90kms from Ioannina (about an hour’s drive). There are also daily low-cost flights to and from various cities throughout Europe. Aside from regularly scheduled flights to and from cities in Greece and abroad, charter flights to Greece are added during the summer tourist period. The port of Igoumenitsa offers frequent ferry service to Patras as well as access to and from ports in Italy, connecting with all of Europe. Smaller craft are accommodated at the port of Preveza as well. By road, Epirus is reached from Western Macedonia by the Kozani-Ioannina National Highway or by the Egnatia Highway through Grevena and Milia at Metsovo. From Thessaly, the Trikala-Ioannina National Highway provides access, and from Aitoloakarnania, the Antirrion-Ioannina National Highway or, alternatively, the route via the Aktion undersea tunnel. The Intercity Bus Service (KTEL) connects the key cities and towns of Epirus with the major cities throughout Greece with regular itineraries. 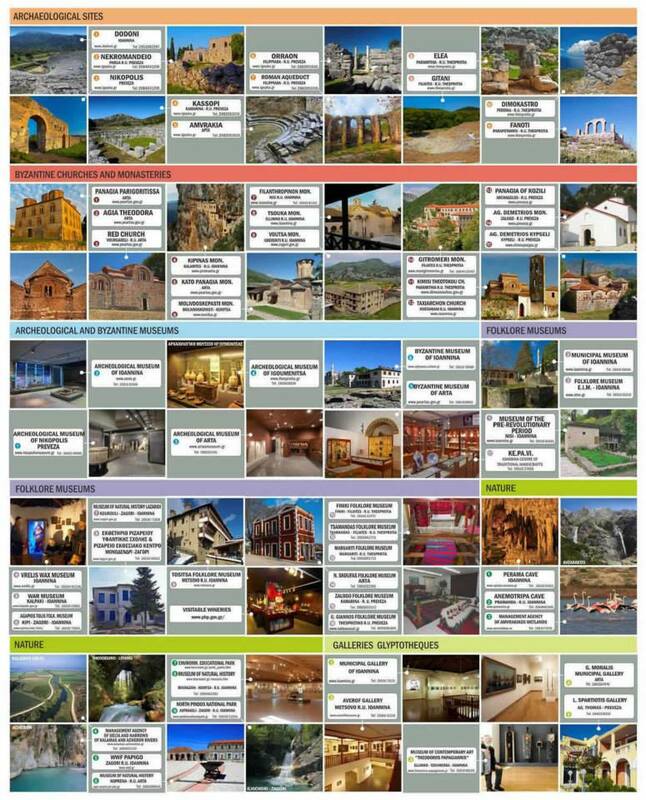 The road network throughout Epirus is quite good and itineraries within the region by the local urban and intercity KTELs service all the villages and settlements. Ioannina is a hub in Northern Greece with access from Athens and Thessaloniki via the Egnatia Highway. One can reach Ioannina by bus from Athens, from Thessaloniki, and from other regions of Greece, with regular, scheduled service. Regular ferry service from Igoumenitsa to ports in Italy connect Ioannina with Western Europe. Arta, 77kms from Ioannina and 50kms from Preveza, is linked to the former via the Ioannina-Arta National Highway. Arta can also be reached by air from the airports at Ioannina or Aktion, or by sea from the port of Igoumenitsa. Preveza is linked to Ioannina by the Preveza-Ioannina National Highway. There are frequent regular flights from Athens via the Aktion Airport as well as charter flights added during the peak tourist season. Bus connections between the cities and towns of Epirus are frequent. The coastal Preveza-Igoumenitsa National Highway links the two cities (a distance of 95kms) and, by extension, links Preveza with Italy and the rest of Europe. 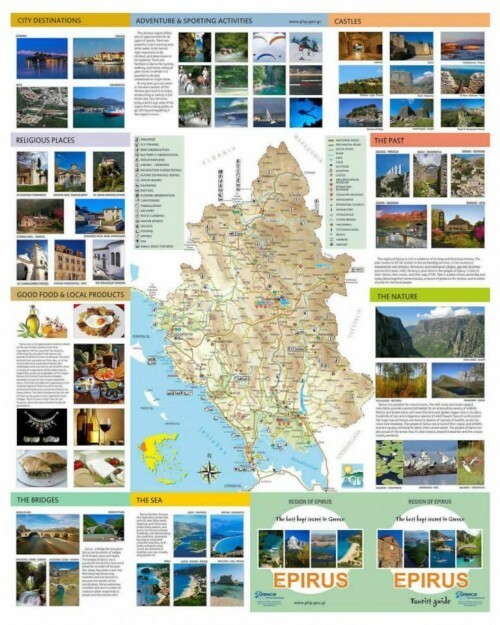 The geographic position of the Prefecture of Thesprotia offers easy access for visitors from Patras and Italy by sea, from Ioannina and Preveza by air, and by road, from Athens via Preveza-Arta and from Thessaloniki via Ioannina and the Egnatia Highway.